Ness is a speaker and sponsor of the Automotive Supply Chain Roadshow in Dusseldorf on Nov 28th and in Munich on Nov 30th. This event brings together experts from Central and Eastern Europe (CCE) to help educate the automotive supply chain on the growing innovation opportunities in today’s digital economy. 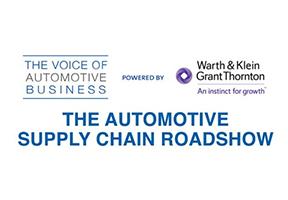 The event will provide deeper insights around the opportunities in automotive in the CCE, key trends in automotive OEM growth, the future of the supply chain market, and more.